Factors to focus when building your dream home ? Building a residential place is a big undertaking and, probably, one of the most expensive investments that a person makes in their lifetime. As the amount of investment involved is huge, it is vital to tread in a deliberate and ingenious manner. Karan, a money-conscious individual, had managed to accumulate enough funds while working as a software engineer in Delhi and decided to invest them in his dream home. He was aware of the process related to purchasing a land and hiring a contractor. However, little did he know that constructing a home requires following a practical and scrutinized construction plan. The things did not go as per the plan and Karan had to settle down with an inferior and below par home. Needless to say, constructing a home requires a lot of painstaking work for turning the dream into a reality. Building a residential place is a big undertaking and, probably, one of the most expensive investments that a person makes in their lifetime. As the amount of investment involved is huge, it is vital to tread in a deliberate and ingenious manner. For erecting a beautiful dwelling, equipped with all the essential requirements and spick and span features, it is essential to shift your focus towards some special areas. • The Monetary Budget: The task involves having a word with a professional architect and knowing the estimates of the entire home building project. Planning a budget for the new house also requires figuring out the funds you have and the amount you need in the form of a loan to accumulate the total sum required for construction. • Location: Remodels, redecoration and reconstruction can fix any minor/major deformities, but the location cannot be changed. Therefore, you need to collect every bit of information available about the location and get the best deal for your dream house. • Question of Style and Design: You can choose a term from among futuristic, minimalistic, fresh, simple, rustic, organic, urban, traditional, modern and classical that speaks for your budget and personal preferences. What are the Most Critical Aspects? Besides the special constructional aspects, there are some other critical things that you need to concentrate on when building your dream home. • Foundation: It is the main factor that determines the stability as well as the sturdiness of the home. Only if the foundation is made using high-quality robust materials, the home will turn out to be a resilient and valuable investment. • Spatial needs: Rooms like living room, kitchen and bedroom require more space as compared to the other rooms. Therefore, it is essential to make these rooms spacious to accommodate everything required. • Number of people: The construction blueprints also mentions the number of people that the new house will accommodate in order to achieve accurate results. Making a list of the required rooms according to the number of family members, functions and dividing their space accordingly would be a wise move. How estimates go up and how to be prepared? While constructing a home, going beyond the postulated budget is a common instance. Whether it is in terms of purchasing more land, investing more in luxury items or an increase in the rates of construction material or labour, the estimates tend to go beyond the prescribed limit. It is wise to be on the conservative side if your income is bound to increase at a slower pace as compared to the interest rates and current family expenses. Moreover, you need to explore the market, get some estimates and talk with industry professionals to gather complete knowledge about the financial aspect of construction. How to Save Maximum Possible? • Hiring a well trained, professional and reputed architect would be useful in building a home within the budget, while keeping proper material management and resource utilisation in mind. • Simplicity is the key to saving money when constructing a new home. Hip designs and urbane styles may give warmth to the eyes, but can burn a big hole in your pocket. So, sticking to simple designs and shapes would make things easy on the pocket. • Utilising existing furnishings, fittings and fixtures in a tasteful manner will give an elegant and classy look to the home without surpassing the budget. The materials that are required for constructing a new home should be chosen carefully. Superior quality materials are hard-wearing and provide better adeptness than the lower quality products. Purchasing high quality materials may be expensive, but it is worth the quality that you will get over the years. 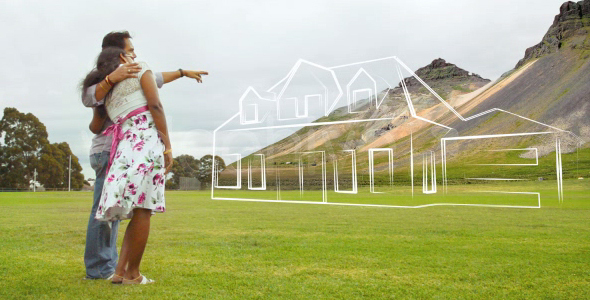 Constructing your dream home is a tricky task. However, making a point to follow the instructions of the architect and property consultants would help in keeping a track of the overall construction work and exploitation of resources as per the industry standards. Please share your experiences living in an apartment on our platform http://www.flatgradings.com/write-review-form and help others make an informed decision before moving into new apartment !